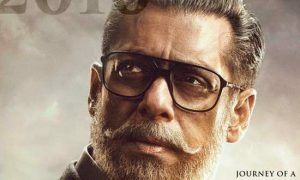 Find here Sonam Kapoor Upcoming Movies & Release Date 2019. The actress is not only popular for acting but also famous for her style and dressing sense. Biographical drama Neerja (2016) proved herself as an actress. She has completed 9 years in the Industry and noticed for work in films like Saawariya (2007), Raanjhanaa (2013), and Neerja (2016). 9 June 1985 born Sonam Kapoor started her career as an assistant director through Sanjay Leela Bhansali‘s drama film Black (2005), the national award winning film received an amazing response where megastar Amitabh Bachchan and Rani Mukherji appreciated for their work. She is a daughter of veteran actor Anil Kapoor and homemaker mother Sunita Kapoor. The actress debuted along with another debutant Ranbir Kapoor in 2007 through Sanjay Leela Bhansali’s romantic film Saawariya, both the lead received several nominations. Sonam Kapoor has completed a decade in Bollywood, a well-known face of Bollywood but failed to become a lead actress while her last release Neerja (2016) proved her acting ability. The movie is based on a real incident or biopic of the head purser, Neerja Bhanot, one of the Highest Grossing Bollywood movies of 2016. Sonam Kapoor’s work recognized once again in social biographical drama Padman released on 9th Feb 2018, Akshay Kumar’s this low budget super hit received amazing responses from both critics and audiences. Veere Di Wedding is a comedy film directed by Shashanka Ghosh directed Waisa Bhi Hota Hai Part II (2003), Quick Gun Murugun (2009), Mumbai Cutting (2010), and Khoobsurat (2014) like films. VDW is one of the most successful films of Sonam Kapoor’s career. Sonam Kapoor played an important role in Sanjay Dutt’s Biopic called Sanju received an amazing response from both audiences and critics, Box Office numbers are going to very huge. Malayalam films star Dulquer Salmaan is doing several Hindi films and now he is confirmed to share the screen with beautiful Sonam Kapoor in Zoya Factor is an adaptation of Anuja Chauhan’s bestseller novel The Zoya Factor is directing by Abhishek Sharma and produced by Fox Star Studios and Adlabs Films. Shashanka Ghosh directed drama Battle of Bittora starring Sonam Kapoor and Farhan Akhtar replaced Fawad Khan as the lead male in the film. 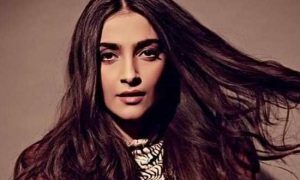 Here is all about Sonam Kapoor upcoming movies & release date 2019. You may check out more lists, click on your favorite actress’s movies list and get all information about.